I already shamelessly dubbed my cycling adventures in France ‘Tour de France‘ and those in Italy ‘Giro d’Italia‘, so it should not come as a surprise that, now I have planned an adventure in Switzerland, I will dub it the ‘Tour de Suisse’. In 2015, I already had a taste of what Switzerland has to offer, when I concluded my Giro d’Italia of that year with an entirely Swiss epilogue. 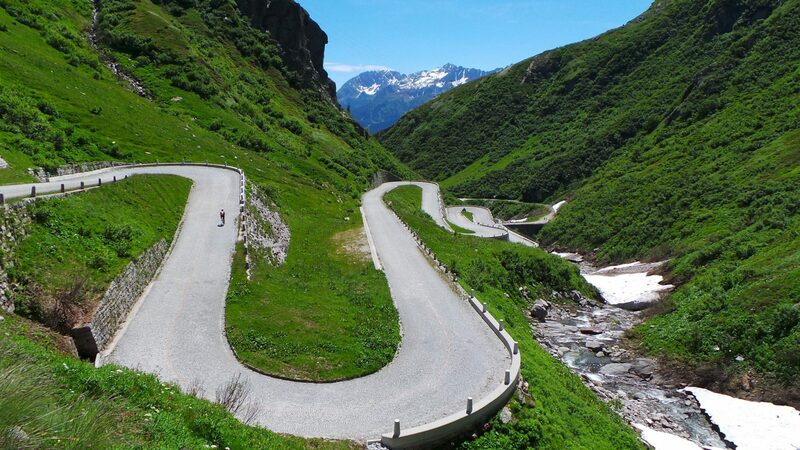 That stage brought me the Gotthard (old Tremola road), the Furka and the Grimsel and I was so impressed by the landscape and the overwhelming views, that I promised I would be back one day. My Tour de Suisse 2019 will start on August 3, probably with a prologue including the San Bernardino and the Splügenpass. This will bring us to Silvaplana, where we will stay for a week in a nice apartment. Silvaplana is at the foot of the Julierpass, which connects to the Albulapass on the other end, down in Albula. A bit further north from Silvaplana, you can also get up the Albulapass from La Punt. Before getting there, you pass the start of the climb up the Berninapass, near Samedan. Even further north of Silvaplana, you get to Zernez, which is at the base of the Ofenpass, connecting to the Umbrail – and Stelvio – in Santa Maria (Val Müstair). And from Zernez, it’s only a stone’s throw to Susch, at the foot of the Flüelapass. The other end starts in Davos, which is easily reached from Albula. After a transfer with an intermediate stage over the Splügenpass from the south, we will settle down in Tujetstch – or Tavetsch – which is between Andermatt and Disentis, halfway up the Oberalppass from the east. Also here, as base camp for the second part of the Tour de Suisse, we have booked an apartment already. Disentis is also at the foot of the Lukmanierpass or Passo Lucomagno. Andermatt is basically the Swiss equivalent of Corvara or Cortina d’Ampezzo, I guess. From there, you can climb the Furka and Gotthard, although that climb is not nearly as beautiful from that end as it is from Airolo. Airolo is also the start of the Nufenenpass, which connects to the Furka / Grimsel from the south-west in Ulrichen. North of Andermatt, you get to Göschenen, for the climb up to the Göscheneralpsee, which is a dead end. 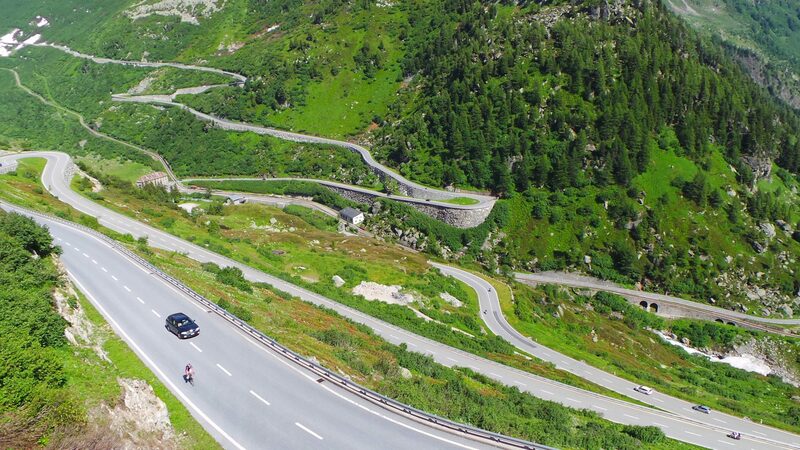 Just past that, the climb up the Sustenpass starts in Wassen – from the other end, it starts in Inertkirchen, very near to where I got of the bike at the end of my Giro in 2015. So, I’ll be busy constructing a stage road book that will end up in the shredder anyway. I’ve been struggling with my health since mid December last year. A complicated hernia and then some complications as a result of that, have kept me off the bike for over two months. Now that I have more or less resumed training, I’m dealing with more side-effects and I’m not even sure I will get back in shape to bring this Tour de Suisse to a good end. As usual, I would probably die trying, but Paula already has given me an advance warning.